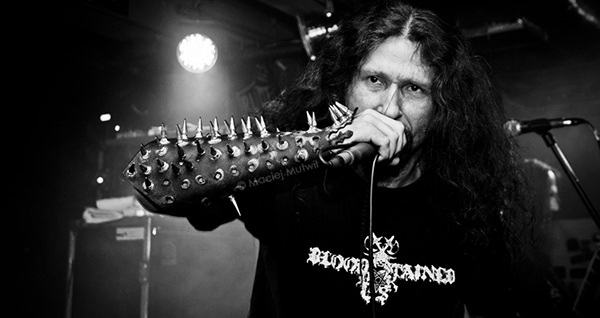 Scott Willey (aka Scott Wily), former vocalist of Rhode Island death metal act Vital Remains, passed away "unexpectedly" on Tuesday, October 31. Willey was a member of the band from 2008 until his departure in 2012. "It is with heavy heart and deep sadness that I say Gator [Gaeton Collier, bass] and I lost and old friend and singer of Vital Remains, Scott Willey. I had just seen him this summer at Summer Slaughter Fest in July. And we had a nice conversation about a lot of things. We told some road stories from the past and we had some good laughs. I will always remember the good times, my friend. Until we me again for that next jam! Rest in Peace Brother... My Condolences to his Family and friends!"